I have been working on a book about the Great War in the Vosges, from Steinbach and the Hartmannswillerkopf in the south to the Col de la Chapelotte and Badonviller in the northwest, since 2012. When friends brought an album covering the visit of two Ottoman officers to the Vosges in 1918 to my attention, I signed up and started posting myself. I think I can contribute more than what I know about military railways and cable cars, so I will try to give an overview of the war in the northern Vosges and the corresponding battlefields, starting with the French offensive in 1914. At the beginning of the second week of August, French troops tried to cross the border on the heights north of the Col de Sainte-Marie, but failed despite heavy losses: in two days, the 149e regiment d'infanterie lost 428 men out of the roughly 3,400 it had gone to war with ten days before. Soldiers who died in this battle are buried in various cemeteries in the valley of Sainte-Marie-aux-Mines. The pictures show graves in the cemeteries near the Col and behind the civilian cemetery of Sainte-Marie, which was built from 1916 by Russian POWs and features a truly massive monument. Another French cemetery lies above Sainte-Croix-aux-Mines, on the heights above the dual carriageway, with a view over the valley, towards the Rhine. I think the 6th US Divn spent time in the area holding the line & raiding & counter raiding the enemy. I think that in 1918, every sector of the front in the Vosges was occupied by US divisions for some time. Apparently the idea was to introduce them to the war in quiet sectors, and to liberate more experienced French troops, which were needed elsewhere on the Western Front. The 6th was apparently one of those divisions. Among them, the 5th USID played the most prominent role, taking the village of Frapelle in August 1918. I will come to that in due time. Back to August 1914. On the 12th, Bavarian troops attacked (and took) Badonviller, on the northwestern edge of the Vosges. The monument in front of the church also commemorates the civilians who were killed by them. I suppose that the lines mentioning their "assassination" were erased during the German occupation in the WW II and replaced afterwards. The monument, coincidentally, also shows American helmets next to French ones, referring to the three US divisions which spent time in that sector between July and October 1918. A few days later, the French launched further attacks, while the Germans decided to evacuate Alsace south of Strasbourg and the Bruche valley. So, while, the French eventually crossed the border near Sainte-Marie without any serious fighting, the Germans tried to defend the Bruche valley near the village of Plaine, a couple of kilometers north of the Col de Saales. The French advance was stopped some 35 kilometers from Strasbourg, when their advance parties came under fire from the German fortress above Mutzig, on the one hand, and troops were diverted to the offensive in Lorraine, on the other hand. The pictures show the cemetery at Plaine and one of the batteries of the 'Feste Kaiser Wilhelm II.' (Fort de Mutzig). At Plaine, there are also the graves of several British soldiers, and some Alsacians who died in German uniform but were later transferred to the French cemetery, as their families claimed they had been French at heart and had only served in the German army as they had been forced to. "Mort pour la France" is therefore missing on their tombs. The day before the 'Feste' at Mutzig fired its guns at the advancing French, the German commander of the 6th (and the 7th) army, Bavarian crown prince Rupprecht, had revised his decision to withdraw his troops south of Strasbourg. At this moment, all the mountains that were to become bloody battlefields in the following months and years, such as the Hartmannswillerkopf or the Lingekopf in the south or the 'Schusterberg' (cote 607) and 'cote 542' at the Col de la Chapelotte in the north, were well behind the French lines. Whereas the Germans were content with reoccupying the plain and pushing the French a bit into the Vosges in the south, they seriously advanced in the north. This advance formed the left flank of Rupprecht's big offensive in Lorraine. There was some chaotic fighting in the valleys to the west of Sélestat, at the Col de Sainte-Marie and at the Col de la Charbonnière, and a battle of two days at the Donon, right on the pre-war border, where several hundred soldiers died. Among them were men from Raon-l'Étape, a mere 25 km to the southwest. Their relatives likely heard the gunfire of the battle. At Saint-Maurice, an Alsatian - i.e. German - village called Sankt Moritz at the time, a plaque commemorates six civilians and French soldiers who were executed by German troops. At the Col de la Charbonnière, a monument erected in recent years commemorates the soldiers of both sides, with both flags plus that of the EU, and at the Petit Donon, wooden crosses were replaced with inscriptions in rocks in 1916. Regarding the central inscription at the summit of the mountain, the adjective "siegreich" (victorious) was erased at some point after the war, most likely by the French, who, however, respected the rest of the inscription. At the Col du Donon, there is a French military cemetery. More French cemeteries can be found at Grendelbruch, Wisches and Saales, apart from the one at Plaine. Some 1,900 Germans are buried at La Broque, near Schirmeck. Among those in the common grave are many who died in August 1914, when were was little time to bury them individually. In the context of the offensive in Lorraine, the Germans crossed the border in the Vosges as well, north of the Col du Bonhomme. Panic spread among French civilians close to the border. There more executions, for example at La Voivre, in the Meurthe Valley. The diaries of two young women who were to experience most of the war near the front, their respective villages under enemy fire, have been published: https://www.edhisto.eu/librairie-en-ligne/general/127-quatre-ans-sous-les-obus-journal-de-guerre-d-irma-parmentelot-de-celles-sur-plaine-vosges-1914-1921.html and https://www.edhisto.eu/librairie-en-ligne/general/113-lusse-entre-deux-feux-9782355151501.html. The German advance was stopped to the west and south of Saint-Dié at the end of August. For two weeks, there was fierce fighting at places like the Col de la Chipotte, the Col de Mandray, the Col des Journaux and the Tête de la Behouille. More soldiers died in these two weeks than in any other two-week period of the war in the Vosges, and with the Tête de la Behouille (734 m), between La Croix-aux-Mines and the village of Mandray, a mountain become a bloody battlefield months before either side became interested in the Hartmannswillerkopf or the Lingekopf. Apart from the monument at La Voivre, the following pictures show the French cemeteries and monuments at the Col de la Chipotte and at Ménil-sur-Belvitte, some 6 km to the west. At Ménil, a window in the church, which was rebuilt after the war, commemorates this battle. This village was also the site of the first war museum in the Vosges that I know of (cf. https://argonnaute.parisnanterre.fr/ark:/14707/a0115124761420l4ayw/9527d02874). In Raon-l'Étape, a plaque commemorates the destruction of the market hall. First, the plaque in Raon-l'Étape, the market hall itself can be discerned behind. Then some pictures of the monuments at the Col de Mandray and the Col des Journaux. The latter, dating from 1998, is interesting for the mention of the countries where the units that fought in the Vosges came from. It also illustrates the continuity regarding the commemoration of the Great War in France, which contrasts with the situation in Germany - I don't know of any German monuments for 1914/18 built after 1945. However, the monument at the Col des Journaux grossly exaggerates the number of dead: some 60,000 French and German soldiers are buried in the cemeteries in the Vosges. Even taking into account that some Germans were transferred to Germany for burial during the war and about one third of the identified French dead were transferred after 1918, the number of 400,000 is totally implausible. The last picture shows the grave of Ernst Maurer, killed near Raon-l'Étape on 26 August 1914, on the Hauptfriedhof in Saarbrücken, where there are hundreds of military burials in different parts of the cemetery, including, remarkably, POWs from Russia and Roumania (from both world wars). This cemetery (cf. https://www.riha-journal.org/articles/2017/0150-0176-special-issue-war-graves/0153-knauf) is one of several in Germany that I know of that feature separate military burial grounds, other substantial ones being at Freiburg, Karlsruhe, Stuttgart and Ulm. The essay mentions more, e.g. at Aachen and Mülheim (Ruhr). If one of the readers of this thread ever visits the latter two and finds headstones mentioning the Vosges I would appreciate pictures. There might be graves of soldiers of Landwehr-Infanterieregiment 56, from that part of Germany, who died at the Hartmannswillerkopf. By the way, does anybody know if private headstones of this kind exist in the UK as well? The postcard shows the church of Mandray, the following photo a house in Haute Mandray with what I think may well be bullet holes dating from 1914. The following pictures show the memorial on top of the Tête de la Behouille. Nearby are what I consider remains of the primitive trenches built during the fighting. I finish for today with the grave of Benoît Morelle, from Châtillon-sur-Chalaronne (Ain), born on December 16, 1890, killed at La Fontenelle / Ban-de-Sapt on December 24, 1914. He is buried at Saint-Jean-d'Ormont. Thanks for the travelogue, Ottokarl. Really enjoying and looking forward to more posts. Back to the battle between the Col de la Chipotte and the Col des Journaux at the end of August / beginning of September 1914. After two weeks of fierce battles and heavy losses on both sides, the Germans decided to retreat in the wake of the withdrawal from the Marne. In the northern Vosges, they moved back towards the border, with little interference from the French. In the second half of September, a firm frontline began to evolve. At the beginning, this was defined by the villages and farms which either side occupied, and by the range of patrols sent into the mountains. The first major battle of this new phase of the war took place at the Spitzemberg [sic], which French troops took after several days of fighting. The pictures show this summit, which dominates the road from Strasbourg via the Col de Saales to Saint-Dié, in the Fave valley, and some of the remains of the war, mostly dating from later on. The 152e Régiment d'Infanterie, which lost some 600 men there (to which the losses of other unites must be added), had reached the outskirts of Colmar in August, and was to suffer massive losses at the Hartmannswillerkopf in 1915. Having been called 'Rote Teufel' (diables rouges / red devils) by the Germans, due to their performance and the red trousers of the French infantry uniform in 1914, the regiment adopted this nickname and continues to use it. In Colmar, a red devil decorates a roundabout near the barracks in which it is garrisoned today. At Charémont, the hamlet to the south of the Spitzemberg, a window in a chapel commemorates the war. The first picture was taken from the slopes of the neighbouring mountain, Ormont, which is considerably higher, but further from the Fave valley, which can be seen behind the Spitzemberg. The last one shows the roundabout at Colmar, with the barracks in the background - apparently built while Alsace was part of the German Empire. Thanks for this travelogue!! Very interesting. funny... I guess the architect of the barracks in Colmar must have been the same as for Quartier Lize in Strasbourg. For a moment, I thought I was looking at my old office !! Thanks, Marilyne, for your feedback, hoping I won't disappoint you. Actually, this is the result of lots of trips to the Vosges. I live close enough to visit them on day trips, luckily. I am just planning one for Friday, to the Ebeneck, below the Grand Ballon in the southern Vosges. Snow shouldn't be an issue at the moment. But back to the north, and the Ormont. I will deviate from the chronology from now on, insofar as I will deal with different sectors in the chronological order of the major battles, but then cover these sectors - or rather the remains there - in detail, which means I will show relics which mostly date from later on. Both the Spitzemberg and the Ormont firmly remained in French hands for the rest of the war, with the German positions running from Frapelle towards La Fontenelle / Ban-de-Sapt via the Col d'Hermanpaire (for which different spellings are used). The whole of this sector (apart from the Spitzemberg, though, which can easily be included) can be discovered on one of the historic footpaths that have been established in the last decade. The ground between the Spitzemberg and the Ormont is marked by the war. From the ridge of the latter, there are great views, such as this one towards Saint-Dié and the beautiful scenery around this town. The hills in the background were part of the battlefield in August / September 1914. A Bataillon de Chasseurs left its mark on the rock. On the way towards the Tête des Raves, which forms part of the Ormont, there are the remains of French positions. At the Tête des Raves itself, there was a steel observation tower with an armoured chamber for two observers on top. Apparently, it collapsed in a storm in the 1940s - has anybody ever heard of another tower of this kind? Great pictures, thanks for sharing. Good luck with your project, this is certainly a sector of the Great War that deserves more accounts written in English. If it is of any help to you, I researched the period of 20 - 27 August 1914 in the greater sector of Sarrebourg to Baccarat, for my book, Imperial Germany's Iron Regiment of the First World War. My grandfather, Albert Rieth, served as a trumpeter in IR 169 during this campaign, and was wounded near St. Barbe on 27 August, just as the German counteroffensive in the Lorraine petered out. (He survived the war and immigrated to the US in the 1920's.) 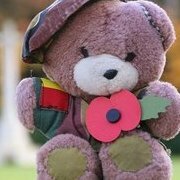 In my website, I have a page about my following his regiment's footsteps during visit to the battlefields in 1997. See www.ironregiment169.com. Now I will digress a bit from the northern Vosges, and write about yesterday's excursion to the ridge between the Grand Ballon and Guebwiller. There were no battles on that ridge, and the no man's land between it and the Sudelkopf to its south was unusually deep. I walked up from Langmatt, at the very end of the valley of Murbach. The path looked like it might have been used by pack animals in the war, with a very gentle gradient and unusually few hairpin bends. At one point, a bridge made from a bent sheet of corrugated iron (what is the official English term for this?) points very much in that direction. On the ridge, there are relics at the Rocher St-Pirmin, at the Birkenfelsen, the Lochbochkopf, the Col de Judenhut and along the forest road back down to Langmatt. You can find more pictures (not mine) here: https://www.lieux-insolites.fr/cicatrice/14-18/judenhut/judenhut.htm. And does anybody have any idea what the wall below might have been? It is at a site where maps show a German camp, "Lager Fluhfelsen". The second picture shows its back - it doesn't look like there ever was anything behind it. Thanks for your response and I hope you enjoy the Kindle version of the book. While the full text of the book will provide more context, below is my grandfather's journal description (written in an Army hospital in Schweinfurt in March 1915, while recovering from wounds at La Bassee) of his experience at St. Barbe. It was a long day for the troops, as they fought through the town of Baccarat that morning and then had a difficult march to St. Barbe. He received an arm wound the next day, which put him out of field service until he rejoined IR 169 in Flanders in late 1914/early 1915. In the Lorraine Campaign, he served as a trumpeter with IR 169's 9th Company. “We now marched through Baccarat and had a short respite on a knoll. Soon the order came that the village before us was occupied by the enemy and had to be taken. It was almost dark when we reached the hill, from where we could see St. Barbe, located on the western side of a great plain. Our artillery had also positioned itself on the hill and so had access to the entire area. We now took a little rest as we had done a long march. In great intervals we spread out and slowly approached St. Barbe where it was very quiet, only far away the cannons thundered. One could see that a battle had raged here, as dead and wounded Frenchmen were lying everywhere, with some having been transported away. Good morning and thanks for all this information, John. I passed through Vacqueville and Baccarat last August, on a bike trip through that part of Lorraine. And I happen to have a book in my collection (cf. https://rds-blb.ibs-bw.de/opac/RDSIndex/Search?lookfor=unser+korps) which includes pictures of the bridge in Baccarat in 1914. From late 1914, the front passed over the hills between Vacqueville and Blâmont. The village in the background of the first picture (looking north) is Ancerviller, the first (or last) village on the French side. Period maps show narrow gauge railways on either side of the front. In 2017, I visited the German cemetery at Lafrimbolle, some 15 km southwest of Plaine-de-Walsch, where over 2,000 men are buried, many of whom died in August 1914 (cf. https://www.volksbund.de/kriegsgraeberstaette/lafrimbolle.html). Regarding Sainte-Barbe, you will find a number of period pictures entering the name here: https://argonnaute.parisnanterre.fr/search/home. Via this page you have access to a great collection of more than 50,000 photographs from WWI ('Albums Valois'), from all fronts, I think. There is a similar collection in the Bavarian Kriegsarchiv in Munich, with some 25,000 pictures ('Staudinger-Sammlung'), which are not (yet?) accessible online, however. Do you, John, have any pictures showing war damage in Sainte-Barbe? And do you have your grandfather's account of his experience there in German? It is what he wrote about civilians that I find interesting, and with your permission I might include his account into my chapter on civilians near the front, as one examle of civilians being present during the fighting, in some cases. The memorial in Blâmont lists three categories of civilians who died, which I do not really understand. Is anybody able to explain this? As far as destruction is concerned, in Ménil-sur-Belvitte, which I mentioned in the context of the battle in August / September 1914, rebuilding the church seems to have taken a decade. Elsewhere on August 24, the 6th/7th Army found a distinct stiffening of French resistance. Although the advance continued to make overall progress, signs were beginning to emerge that the French were recovering from their three day, free-fall retreat. In 1914, Baccarat was a small town that stood world-renowned for its spectacular crystal industry. One German soldier expansively recording his impressions in a letter home: “Baccarat, you delightful town, dear heaven, how your main street looked before that never-to-be forgotten day.” On August 25, all that mattered about Baccarat was the control of a substantial stone bridge that gapped the Meurthe River. The bridge divided Baccarat into east and west sections. On the east bank, a large estate, with an accompanying walled Castle Park was located 600 meters from the bridge. On the west bank, the large church of St. Remy occupied the southern corner of the bridge intersection. The church opened onto a wide village square, with the Hotel d’Ville on the north corner. XIV Corps’ August 25 plan was to first have the 84th Brigade of the 29th Division, including IR 169, cross over the Meurthe, take control of Baccarat and seize the high ground over the southwest bank. The 28th Division, along with 58th Brigade of the 29th Division, was to then move southeast to the Meurthe River towns of Bertrichamps and Thiaville. From there the corps would execute its primary objectives; take the towns of St. Barbe, six miles to the south, and St. Benoit, which lay another four miles south of St. Barbe. The hasty French retreat left Baccarat, and more importantly, the bridge in the town’s center, abandoned. The lack of an organized defense enabled the first German patrols to easily slip into Baccarat on the evening of August 24. One of the initial German units in the town was the 3rd Company of Regiment 113 (from the 29th Division’s 57th Brigade), commanded by Lieutenant D.R. Banzhaf. Banzhaf entered Baccarat with orders to arrest the mayor and pastor, who were then to serve as hostages. [This was a common German practice in the early weeks of the war, where the leading officials of many occupied towns were held as hostages to safeguard the incoming German troops against the threat of civil resistance.] On his way into town, Lt. Banzhaf met a Baccarat police official by the name of Barbier, who volunteered to serve as the town’s primary hostage representative. After the Germans accepted the offer, Barbier suggested that they move to the southeast part of the town to make additional coordination with other civic leaders. As the group moved out, Lt Banzhaf came across a German cavalry officer who advised that French troops were laying in ambush at their intended destination. There is no record of what fate befell Barbier after the treachery was disclosed, but it was likely to have been harsh. Later that evening, German vanguard units from the adjacent 1st Bavarian Corps, along with a squadron of the 29th Division’s 22nd Dragoons, crossed over the Meurthe Bridge to the western side of Baccarat. The infantry troops from the 1st Bavarian Corps were to serve as the advance pickets, while the cavalry dismounted and rested in a park. IR 169 spent the night in the forest just to the east of the town. In the early evening hours of August 24, French commanders realized that Baccarat had been left undefended. The 86th Regiment of Infantry (86th RI), which contested XIV Corps in the fields around Sarrebourg, was the nearest French unit. Commanded by the rather elderly Colonel Couturaud, the regiment was ordered to reverse its retreat, drive out the lead German patrols and establish a bridgehead on the eastern bank. The 86th RI, which lost a third of its strength at Sarrebourg, had retreated across the Baccarat Bridge during the night of August 23, and then moved to the fields northwest of the town. On the afternoon of August 24, German artillery targeted the regiment’s command post, killing the much-respected regimental second-in-command, Lt. Col Barral, Dr. Canel, the chief medical officer, and Captain Morel, one of the commander’s aides. At 11:00 pm that evening, the regiment was ordered to seize the bridge in an early morning assault. The details of the battle were considerably more chaotic but no less bloody. The French attack was led by the 86th RI’s 3rd Battalion. After routing the small German cavalry detachment, the leading 12th Company extended its attack and raced over the bridge to the east side of Baccarat. 3rd Battalion’s 11th and 12th Companies were to follow across the bridge and then fan out throughout the town and establish blocking positions. The 86th’s 1st Battalion was ordered to establish a defensive position around the church and city hall square on the west bank of the bridge. IR 113 troops quickly established a hasty defensive position on Baccarat castle’s grounds. Other German units, including IR 169, joined the battle. A wild firefight raged in the streets. German infantry set up in buildings overlooking the bridge, plunging fire into the two French companies that were attempting to push over the river. French soldiers trapped on bridge were slaughtered, with the dead including Captain Shearer, one of their company commanders. A few made it to a parapet outcropping on the far side, where they returned fire at the Germans inside the buildings. The French attack pressed on, with some of the 1st Battalion men making it across the bridge to join their struggling 12th Company comrades pinned down by fire from the castle grounds. The hundreds of German infantrymen swarming into the battle soon overwhelmed the few French troops still fighting on the east side of the river. 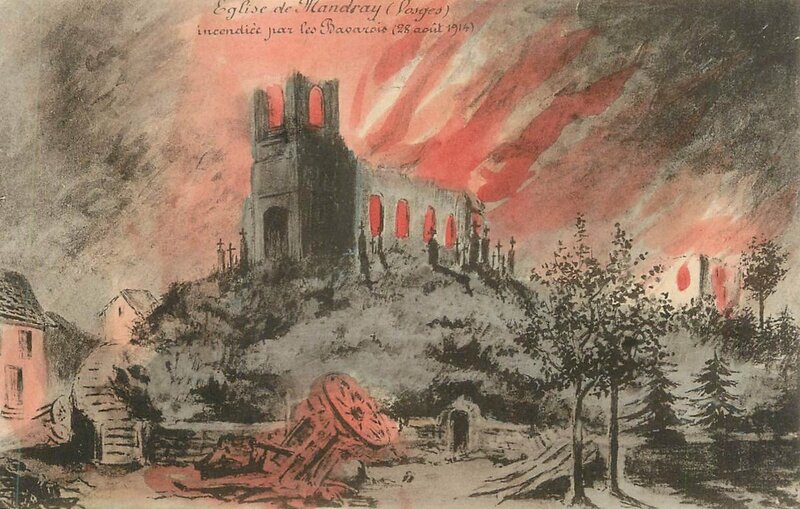 While the combat swirled in front of the castle, additional German troops came in from behind the French. These newly arrived Germans set up machine guns with fields of interlocking fire over the entire bridge, blocking the only possible escape route for the beleaguered Frenchmen. Fighting was house-to-house, as the French valiantly tried to maintain their positions. With the hope of reinforcements fading, the French attempted to break off contact and raced back across the Meurthe. It was a disaster. Many of the troops were shot down before they even neared the bridge. About 30 French soldiers (including the wounded 1st Battalion commander and four other officers) managed to surrender. Those who made it onto the bridge were subject to the murderous German crossfire. The Germans later counted the bodies of 97 French soldiers killed on the bridge. One German noted that the firing was so intense that many of the dead were found with bullet holes in the soles of their boots. In the midst of the battle, some of the wounded were able to roll over sides of the bridge, only to drown in the river below. Adding to the pathos, a pig, with a French kepi pinned to its head, rooted through the bloody streets. Happy new year to everybody. Thanks a lot for this excerpt, John. With regard to Barbier, his name does not appear on the local monument (cf. http://www.memorialgenweb.org/memorial3/html/fr/resultcommune.php?act=view&amp;insee=54039&amp;pays=France&amp;dpt=54&amp;idsource=15271&amp;table=bp&amp;lettre=&amp;fusxx=&amp;debut=0), so it looks like he was - somewhat surprisingly - not executed. Maybe he escaped in the chaos? Or the German account got his name wrong. The bridge at Thiaville, a few kilometers southeast, was taken by Dominik Richert's regiment, or at least he was involved in the fighting there. I have just remembered that there is an English version of his account: Dominik Richert: The Kaiser's Reluctant Conscript. My experiences in the War 1914-1918. Translated by D.C. Sutherland, Pen & Sword 2012. There is also an article on Wikipedia. As I have said above, this is a highly recommendable book. Being from Alsace, and therefore supposedly not trustworthy, he was sent to the eastern front after his deployment in Alsace and the Vosges, and then in northern France / Flanders. In the east he witnessed horrible fighting in the Carpathians, for example. He was sent back to the western front for the German offensives in 1918, and eventually deserted in summer 1918, in Lorraine. Hostages were taken by both sides at the beginning of the war. The French for example took some in Schirmeck, a town near the Donon, on the German side of the then border, and took them along when they retreated. There is the account of a man who later returned via Switzerland, preserved in the Hauptstaatsarchiv in Stuttgart, that tells of French civilians in the villages along the way towards Rambervillers abusing them etc. The Germans were obsessed with the idea of "franctireurs", i.e. civilians joining the fighting. On the other hand, many French were mistrustful towards Alsatians as well. I have come across two accounts of civilians being executed by French troops, both near Munster. One had apparently given shelter to a wounded German soldier, the other was confused with another man, whose name had been found in German documents and who was apparently a spy, and executed as well. He was rehabilitated after the war, "in the interest of the law and the defendant". The corresponding documents can be found on memoiredeshommes (SHD/GR 11 J 1803). I have just come across an article about another German soldier (from Villingen) who served in IR 169, according to the journalist. I will see if I can get access to that diary. Actually, I was born in Schwenningen, which forms the town of Villingen-Schwenningen today. Among my pictures I have found the grave of Erwin Schmidt, who died in the ranks of IR 169, having been wounded on the Somme. He is buried at Karlsruhe (Hauptfriedhof), together with two brothers, who died at the Hartmannswillerkopf and in Champagne, respectively. Considering the professions of Hans, Leopold and Erwin, and the quality of the monuments, and not least the fact the Schmidt family could afford to bring all three home, they must have been well-off. Back to the northern Vosges, and the Spitzemberg / Ormont sector, where there were no more serious battles for the rest of the war - in contrast to the adjoining sectors, Frapelle and Lesseux / Lusse to the east and Ban-de-Sapt / Fontenelle to the west. I will come to these in due time. First, however, some more pictures taken at the Ormont. The first one show the view towards the village of Launois, with the hill of La Fontenelle above, to the left. The second one shows French fortifications on the ridge of the Ormont. Following the chronology of major engagements - which is relative for the Vosges, as sometimes the biggest "battles" in a sector involved no more than a couple of hundred men -, I will continue with the TÃªte du Violu (Violenkopf), often simply called Violu. After their retreat in September 1914, German troops occupied this summit (995 m), some 2000 metres south of the Col de Sainte-Marie and right on the pre-war border. From an observation tower they could see into the Meurthe valley (towards Saint-DiÃ©) with its vital railway line, which provoked a French attack on 31 October, on both sides of the pass. Whereas the Germans could push them back in the north, the French succeeded in permanently occupying the highest part of the rather flat, plateau-like summit of the Violu. In the months and years that followed, this sector saw no more major engagements, but there was mine warfare in 1915, and gas was used from 1916. The mines I know of were rather shallow, just a few metres under the surface, and the explosions didn't leave any obvious craters. By the end of the war, the Germans had pushed their trenches to within no more than 150 metres of the summit, the French trenches most likely being even closer. Throughout the war, the town of Sainte-Marie-aux-Mines (Markirch), some 4000 metres behind the front on the German side, remained occupied by a large part of its 12,000 citizens. I will start with the German cable car / rail network built to supply the positions south of the pass. Two pictures from the history of Landwehr-Infanterieregiment 80 show the station just outside Sainte-Marie and, apparently, the line just before the upper station, the ruins of which still exist. The latter is on the northeastern tip of a ridge called Pain de Sucre, between roads D48 (in the valley) and D459 (towards the pass). From that station, a narrow gauge railway, protected by the ridge of the Pain de Sucre, led to below the positions at the Violu. Along the Pain de sucre, its route can still be seen. 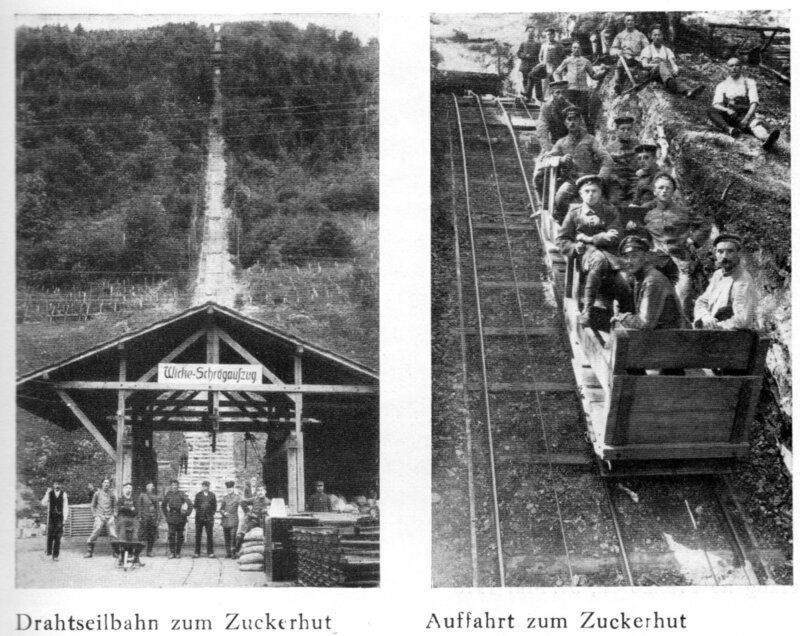 It connected with the lower station of another inclined elevator, which led towards the summit. At its upper end, there is a concrete station, which replaced an earlier one at some point. Nearby there are some massive conrete bunkers, which could hardly have been built without this rail infrastructure.